Henry Vilas Zoo is a public zoo accredited by the Association of Zoo and Aquariums located in downtown Madison and owned by Dane County. The zoo, built in the early 1900’s and spanning 28 acres, charges no admission and boasts over 750,000 visitors each year. For more than 100 years, it has brought immeasurable joy to the people of Madison. The zoo states as its mission the conservation and protection of the wonders of the living natural world, along with a commitment to building better understanding between people and animals. 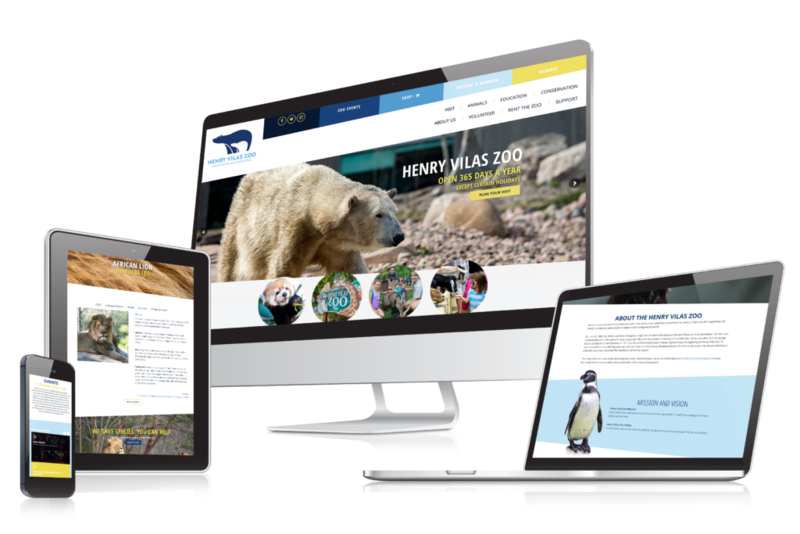 In 2017, Henry Vilas Zoo approached The Digital Ring looking for a website overhaul. We built them a fun, vibrant site that captures the spirit of the zoo while also providing educational and informational tools and resources to visitors (check it out here).